As an organization, more often than not, you would have come across various policies. These policies basically predefine a course of action, such that accepted business strategies and objectives can be achieved. Policies are absolutely crucial to the proper functioning of an organization as they establish boundaries boundaries of behavior amongst employees, outline various processes and procedures, define relationships and outline the rules to be followed for various transactions. Since policies are evidently critical to an organization, policy management is equally important. Any organization or business will have a number of departments. All of these departments will have individual policies and these policies will further have different formats. Policy management, in all of this, gets buried in documents, spreadsheets and emails. This may have many effects, some of which are- wasted resource through redundancy and overlap, excessive emails, documents and paper trails, poor visibility and reporting, files and documents out of sync, complexity amounting to overwhelmed workers and also leads to lack of accountability. Policies are more quickly accessible to all employees for reference, as well as in case of some emergencies, where the protocol needs to be followed. An organization can be protected from litigation by staying up to date on accreditation standards and creating an audit trail in the case of legal action. Because the process of managing policies can be expensive and time-consuming, organizational boards should make the implementation of an efficient policy management system a priority. Inefficient management of policies is time-consuming and expensive. Creation: When a need is identified within an organization, a policy is written and goes through an approval process. Communication: After creation and approval, a policy is communicated to staff. This includes publication of the policy, training, and attestation. Management: Throughout the life of the policy, it is consistently enforced and exceptions are managed when applicable. Maintenance: Policies are reviewed regularly, updated, and archived when necessary (Open Compliance & Ethics Group, 2012). Provide a framework for governance. Policy paints a picture of behavior, values, and ethics that define the culture and expected the behavior of the organization; without policy, there are no consistent rules and the organization goes in every direction. Identify and treat risk. The existence of a policy means risk has been identified and is of enough significance to have a formal policy written which details control to manage the risk. 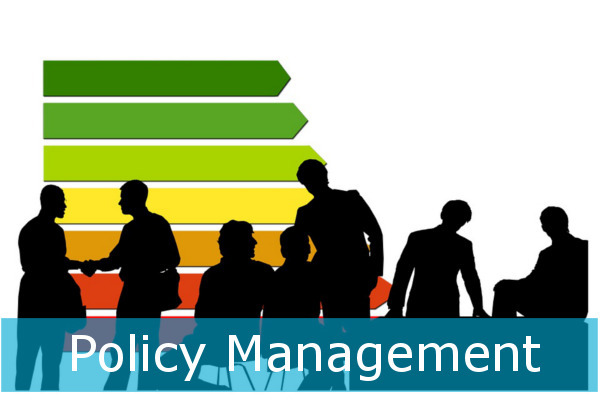 Policy management can be effectively done by software tools like VComply which let you manage and store policies effectively. A comprehensive and well-managed set of policies can support GRC activities by communicating boundaries and expectations, establishing a culture of compliance within the organization, protecting the organization from litigation, and helping achieve the organization’s objectives. Previous PostPrevious Compliance training is as important as compliance itself, if not more! Next PostNext Change is unavoidable, and so should be Change Management!